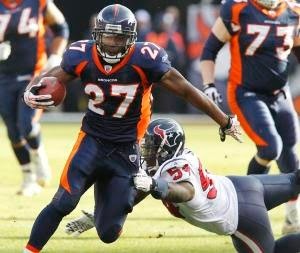 The Miami Dolphins have added RB Knowshon Moreno to their roster, on a one year deal. The former Denver Bronco had a career year last season playing in Peyton Manning's offense rushing for over 1,000 yards, catching 60 passes for 548 yards and scoring 13 total touchdowns. Knowshon rushed for 947 yards and 7 touchdowns his rookie season out of Georgia before injuries dominated his career for 3 seasons. Moreno joins a Dolphins backfield with Lamar Miller and Daniel Thomas. There will plenty of ball sharing. The more weapons Ryan Tannehill has, the better.